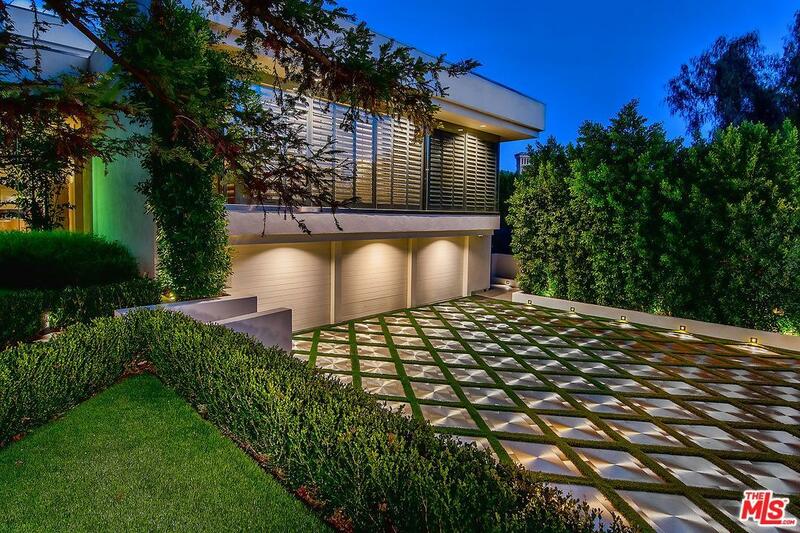 Situated on a private cul-de-sac in the prestigious neighborhood just above the Beverly Hills Hotel, this dynamic Contemporary Estate is nothing short of a masterpiece. Offering apx. 14,000 sq.ft. of living space with epic scale, incredible volume, & the finest quality finishes. This property has been impeccably updated & restored while still preserving the classic style & elegance of a bygone era. 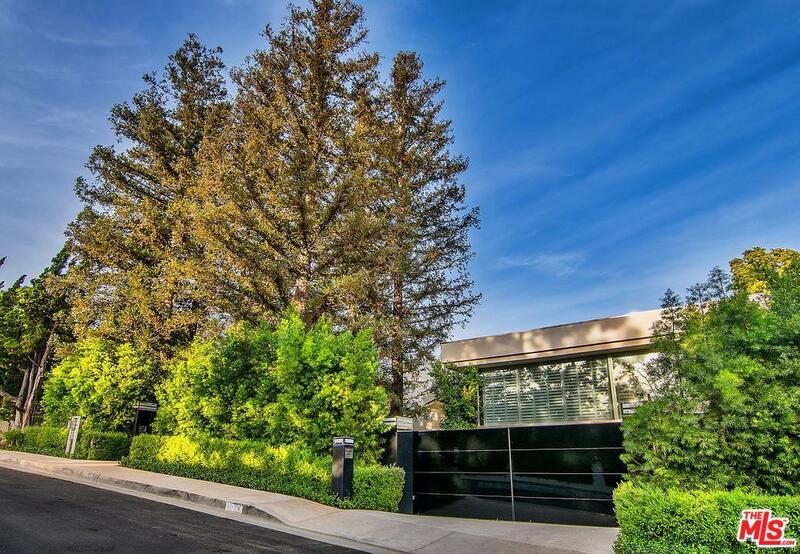 Front courtyard w/redwood trees, motorcourt & 3-car garage. The voluminous living room is worthy of a luxury hotel lobby w/2-story walls of marble & glass. Sunken bar, formal dining rm, & tremendous open kitchen w/52ft island, prof. appliances & separate catering space. 2 guest bdrm suites up & vast master suite w/balcony, dual marble bths, & walk-in closets. Lower level staff suite. 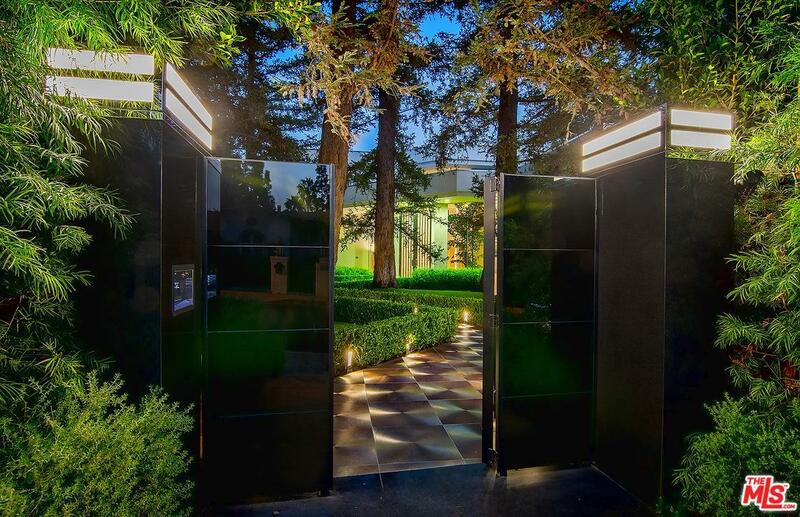 The incredible grounds were designed for entertaining w/outdoor living rm, lawn, pool & spa. The 3-story gsthse is a full 2nd residence w/living rm, dining, kitchen, 3 bdrms up, & lower level full apartment. Listing provided courtesy of Jade Mills DRE#00526877 of Coldwell Banker Residential Brokerage.